Tokyo RPG Factory’s first game, I Am Setsuna, was hit or miss. Using Chrono Trigger as its palimpsest, I Am Setsuna borrowed structural elements, character inspiration, abilities, and the famous double and triple techniques from the classic SNES title. This is not a bad thing, but it drowned these aspects in overly complicated systems and standoffish writing. I Am Setsuna is not without its moments or merits, and it certainly charmed me, yet I found it lacking in some respects (you can check out our review on it here). So when Tokyo RPG Factory’s second game, Lost Sphear, was announced, I was not optimistic about the reused assets or the addition of a fourth party member. And yet, Lost Sphear turns out to be the first pleasant surprise of 2018. Kanata and his two childhood friends, Lumina and Locke, are their village’s only defenders against the occasional meek monster that wanders in. Then their village becomes “lost”—a phenomenon in which objects, people, and large swaths of geography fade into shimmering white. Kanata learns that by collecting memories he is able to restore the “lost”, an ability the big empire on the block recognizes and recruits him, his friends, and the dark-robed traveler Van, to resolve the phenomenon occurring around the globe. The snowy aesthetic and the entirely piano soundtrack were my favorite parts about I Am Setsuna. Lost Sphear expands its soothing instrumentation and areas are now more diverse; idyllic villages dot “Gaiterra” (not my first choice of name either) along with dense cities and maze-like dungeons with built-in short cuts. 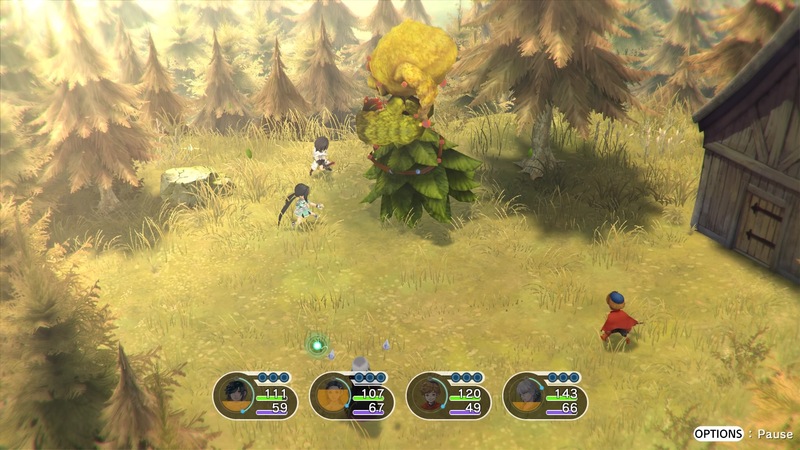 A jaunt through a wooded area encapsulates the thoughtful mood of Lost Sphear, as the sound of trees shivering from a light breeze mixes with the bouncy and soothing music grounds the stakes of each character’s quiet despair. The writing is more or less typical JRPG faire. The first few hours are uneventful, but as the cast builds and their conflicts unfold, the characterization and story go places. Dialogue also improves with time, but the frequent breaks for the party to assemble and discuss does grow wearisome. Because this is only about a 20 hour RPG, the finer details of the story are undersold and understated, and on occasionally tonally dissonant. At times, important elements of backstory or plot elements are suddenly introduced. That being said, the characters and emotional throughline are strong enough to wade through the overwrought or trope-y aspects. And indeed the characters are fun. The assemblage of all eight occurs by the mid-way point, and each has a clear battle style that the player can further customize. For example, the pugilist, Lumina, and the samurai, Galdra, gain buffs with their abilities that allow them to snowball. Some of Van’s abilities create green bits that other abilities consume to do more damage. The player acquires abilities by equipping spritnite to each of their characters. Some spritnite gives the character an active ability, like Kanata’s “Cyclone”, or a reactionary or defensive ability, like a counter or protect spell.In addition, the player can affix momentum spritnite to normal spritnite that can produce an effect in battle. Equipping “Stop Boost”, for example, to Cyclone can cause the debuff stop. Other spritnite heals, weakens enemies to certain elements, and so on. On top of the simple equipment upgrade system, the spritnite system allows for the existing quirks of the characters to be personalized. 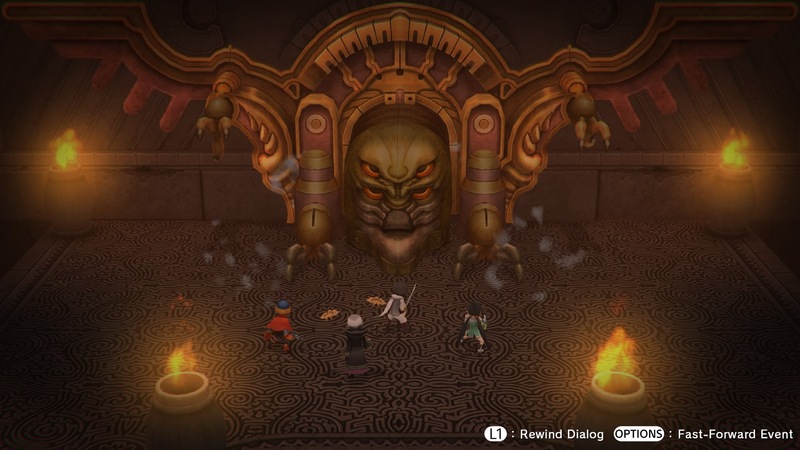 Furthermore, Kanata unveils areas of the map through erecting “artifacts” that can alter combat. Some artifacts increase critical hit rates or other in-battle effects, while others can impact the frequency of rare enemies. Deciding which artifacts to place on these finite spots is important as directly impacts how the player plays the game. No matter how you play, performing high damage attacks and felling imposing groups of enemies is satisfying. It is however fairly easy to sneak up on enemies and gain an preemptive strike which provides enough of an advantage to make short work of enemies, and overall the difficulty regular encounters do not increase quite as much as bosses do. When performing an attack, ability, or using an item, the player moves their character across the battlefield. In this way they can maximize the enemies hit by an attack, group up for a team buff, or separate in anticipation of a concentrated area-of-effect spell. Positioning is paramount by the late game, and by then the player has sufficient familiarity with their team’s move-set as they respond to bosses’ arsenal. My favorite aspect of Lost Sphear are the vulcosuits These ancient personal machines are not only flashy, but also enhance each character’s stats and exacerbate the effectiveness of their attacks. When in vulcosuit mode (which is just the click of a button away) each character draws from a shared pool of “VP” to perform abilities rather than any individual’s MP. They therefore have a harsh limitation on their usage. Add in the ability to switch party members in battle and combat has multiple angles to approach from and strategies to employ. I do not wish to overstate and suggest they drastically change combat. I like this addition is because they add a flair to both the lore and battle system that, despite how silly they may appear, fits the presentation just right. Bosses are the highlight. They are fair for the most part, but require attention and preparation. Status ailments and flashy attacks fly from all corners of the battlefield, and encourage character swapping, VP management, and respectable knowledge of one’s momentum spritenites. The amount of late game and post-game content is not overwhelming and organically stretches the total play time. Lastly, the game has three difficulty modes. Easy mode is good for those who just want to experience the power trip. Normal mode, what I played on, is a nice balance for new players and longtime RPG fans. The hardest mode I only touched for a few hours before turning it to down in order to finish the game but I look forward to playing again at a slackened pace to further explore the complexities of the battle system more formidable enemies. 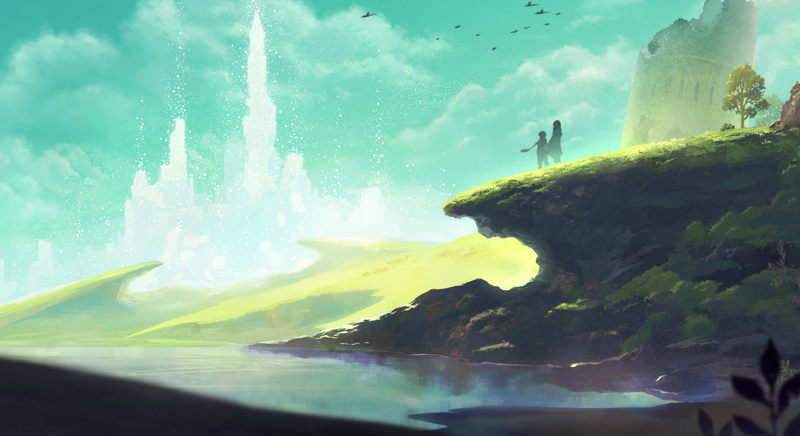 Lost Sphear realizes that to be nostalgic, it still needs to bring new things to the table, and that innovation need not carry with it a juggling act of mechanics. The sense of atmosphere is palpable, if a bit fuzzy at times, and the writing, music, and characters are not always united. The cast of characters is changeable and the world allows for experimentation and individualization. 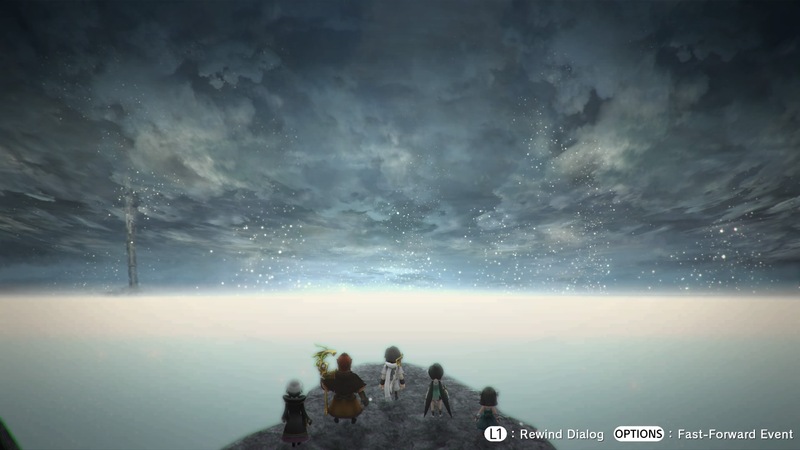 Lost Sphear is a refreshing title from Tokyo RPG Factory, and I hope they continue to build upon the lessons from their two titles and create something both reminiscent and modern down the line. Lost Sphear is now available for PlayStation 4, Steam, and the Nintendo Switch for $49.99. Disclaimer: A review copy of Lost Sphear (PS4) was provided to Nova Crystallis by Square Enix, the publisher.